How to download CCIE training videos from INE on Mac/Win? Save INE's video courses to MP4, AVI, MKV, WMV, VOB and playback on Win/Mac, phones, tablets or TVs. Trying to download training videos from INE to playback offline? INE only provides streaming service while there is no downloading option is available. So in order to download INE video courses, a workable INE Downloader is necessary. 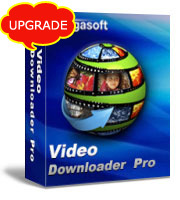 Bigasoft Video Downloader Pro is the most people's choice to get INE training videos downloaded in batch. The following guide will show you how to download INE videos and view them offline on PC, Mac, iPad, iPhone, Android phone as well as TV or any other media players. How to batch download CCIE training videos from INE? Firstly, download and install the ideal INE Downloader - Bigasoft Video Downloader Pro. There are two different versions for Windows and Mac users separately. And both versions are fully compatible with all the operations system at present. Download any video course from INE, Linux Academy, YouTube, Lynda, Udemy, Coursera, Pluralsight, Digital Tutors, CruncyRoll and more. Batch download INE videos at up to 10X faster downloading speed. Save INE training videos to MP4, AVI, MKV, WMV, VOB, ProRes, WTV, ASF, etc. Download INE videos to play on iTunes, QuickTime, Windows Media Player, VLC, iMovie or iOS, Android smart phones, tablets or TVs without internet connection. Support for RTMP, HDS and HLS protocols and VOD files downloads. Record live streaming and save to MP4 with good quality with build-in video recorder. Search for the INE training videos which you like to download, and then copy the URL of that video or playlist. Then go back to the download panel of Bigasoft Video Downloader and mouse over the Past URL box. The URL will be pasted automatically. All the video courses under Course Library can be downloaded, including Automation & Systems courses, Cisco courses, VMware courses and more. Click "Save Folder" button to choose the destination folder for the downloaded INE video. Check "Automatically Convert to" option and choose your desired media format as output format from the drop-down menu. If you prefer to keep the original format of the training videos, please keep "Automatically Convert to" option unchecked. Click "Download" button to start to download INE Video. From Activity panel, you can check the downloading process. You can pause or restart the downloading at any time. After a few minutes, the INE video course will be downloaded and converted to destination path. With Bigasoft Video Downloader Pro, you will be able to download INE training videos and learn anytime to achieve networking certification or advancing your career. Download the software now and download any video course from INE.